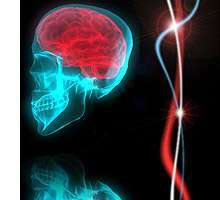 (PhysOrg.com) -- An international team of scientists led by the University of Leeds has shed new light on the little-understood motor protein called dynein, thought to be involved in progressive neurological disorders such as motor neurone disease. Researchers from the University's Astbury Centre for Structural Molecular Biology and from the University of Tokyo have for the first time identified key elements of dynein's structure, and the winch-like mechanism by which it moves. The research - funded by the Biotechnology and Biological Sciences Research Council and the Wellcome Trust - is published in the latest issue of Cell. Dynein is the largest, but least understood of the three families of motor proteins, yet it is responsible for many key processes, such as powering the movement of sperm and eggs, and helping cells divide. It is also responsible for transporting molecular cargo within cells such as motor neurones, the nerve cells that supply all voluntary muscle activity. Lead researcher, Dr Stan Burgess from the University of Leeds' Faculty of Biological Sciences, says: "Motor neurones have a very complex transportation system. While the nuclei of motor neurones lie within the spinal cord, they have branches that can run the entire length of a limb, say from the spine to the big toe. This branch is like a highway for molecular motors such as dynein. If there's a disruption to the traffic, it can lead to cell death and eventually to muscular weakness, characterised in diseases such as motor neurone disease." Measuring only 50 nanometers, dynein can carry its cargo up to a metre in humans - the equivalent of humans walking about forty thousand kilometres. Dynein is poorly understood, partly because it is difficult to engineer for experimental studies and because the usual techniques for determining the structure of a molecule - X-ray crystallography and nuclear magnetic resonance spectroscopy (NMR) - have been unsuccessful. The Leeds team worked with synthetic dynein engineered by their Japanese colleagues which contained fluorescent marker proteins at key points within the motor. Using an electron microscope, they were able to plot the positions of the marker proteins both with and without ATP, the 'fuel' that drives the motor. Dr Burgess says: "Dynein, like all proteins, is a long linear molecule folded up into a complicated three-dimensional structure. While we can't solve the atomic structure using electron-microscopy, our research has enabled us to map key points in the chain and see which parts of it move." Co-researcher Anthony Roberts, says: "Seeing the molecule change shape with ATP gives us clues to its motor mechanism that we will follow up in future work." The Japanese scientists also removed the ends of the dynein molecule to expose the core, and imaging at Leeds showed that - contrary to the accepted model - the core of dynein is similar to other ring-shaped molecular machines in the cell, with which dynein shares distant evolutionary links. "There has been disagreement over the structure of dynein within the scientific community, and both elements of our research - identifying the moving parts and revealing the structure of the core - has meant we can correct some of the mistaken ideas," says Dr Burgess. "Hopefully this will enable future research on this very important protein to move forward much faster." The researchers from Leeds and Tokyo have already joined forces with colleagues in Ljubljana, Slovenia, to secure a grant of US$1.2 million from the prestigious Human Frontier Science Program (HFSP) to continue their research on dynein. Their bid was ranked first among 18 awards made from 600 original applications from around the world. Headed by Dr Burgess, the international team will build on their latest findings and their expertise in engineering and imaging dynein. They aim to study the structure of two-headed dynein walking along its microtubule track using electron microscopy. Colleagues in Tokyo will measure the force it exerts as it walks as well as its step size and speed. The team in Slovenia will then combine all the new data into a computer model to simulate the movement of the protein. "By examining the structure and mechanism of dynein while it's moving, we hope to learn more about how the protein works in the cell, so we can better understand what happens when it goes wrong," says Dr Burgess. Stroke: Preventing the damage by acting on the neuronal environment?